A painting thought to be a copy of a Peter Paul Rubens (1577-1640) portrait when it was deaccessioned by the Metropolitan Museum of Art will now be offered at Christie’s in London with a full attribution. It will carry an estimate of £3m-5m. Sold by the Met Museum in New York as a painting by a follower of Peter Paul Rubens, ‘Portrait of Clara Serena, the Artist's Daughter’ has now been ascribed to Rubens and is estimated at £3m-5m at Christie’s. Image: Christie's Images Ltd 2018. 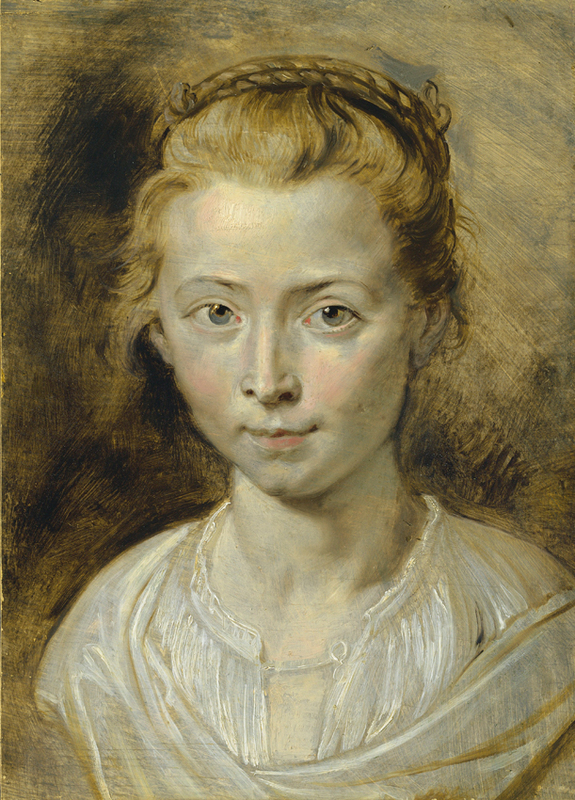 The small portrait of the artist’s daughter Clara Serena was ascribed to a follower of Rubens at the time the New York museum sold the work to Christie’s vendor in 2013. However, it has since been cleaned and restored, which has had a “quite transformative” effect according to the auctioneers. Since the varnish and overpaint were removed, the 14.25 x 10.5in (36 x 26cm) oil on panel has been exhibited at The Rubenshuis in Antwerp and Scottish National Galleries. He said the attribution has been endorsed by, among others, Katlijne Van der Stighelen, art historian and professor at the University of Leuven. The work itself depicts Clara aged about 12, around the time of her untimely death, and was probably never intended for public display. Another Rubens portrait of the sitter aged five is in the Princely Collections of Lichtenstein. It will be offered at Christie’s Old Masters evening sale on July 5, during the auctioneers’ Classic Week of sales. Another key lot offered in the same sale is an extremely rare Rembrandt (1606-69) drypoint from 1655. Christ Presented to The People (‘Ecce Homo’) is considered among the artist’s greatest achievements in the printed medium but only eight impressions of the first state of this large print are known to still exist. Seven of these are in museum collections, including in the British Museum, the Met Museum, the Ashmolean Museum and the Louvre. The work at Christie’s is the last-known example in private hands. 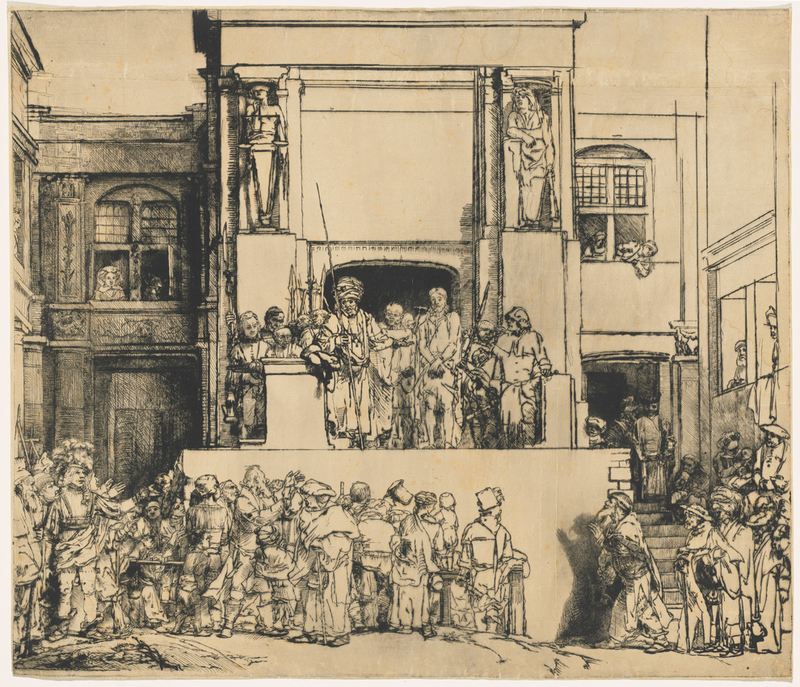 ‘Christ Presented to The People (‘Ecce Homo’)’, a drypoint by Rembrandt Harmensz. van Rijn estimated ‘in the region of £2.2m-3.5m’ at Christie’s. Image: Christie's Images Ltd 2018. Christie’s has estimated the work ‘in the region of £2.2m-3.5m’, an unprecedented level for an individual Rembrandt print. The auctioneers said the work, which dates from Rembrandt’s third decade as a printmaker, “epitomises an artist at the height of his powers, both artistically and technically”. It is described as in “very good condition, rich with burr and has beautiful, selectively-wiped, plate tone throughout”. It comes to auction from an important private collection – that of the late Samuel Josefowitz who died in 2015.